Want to join me in making a difference for some orphans who have suffered severely? 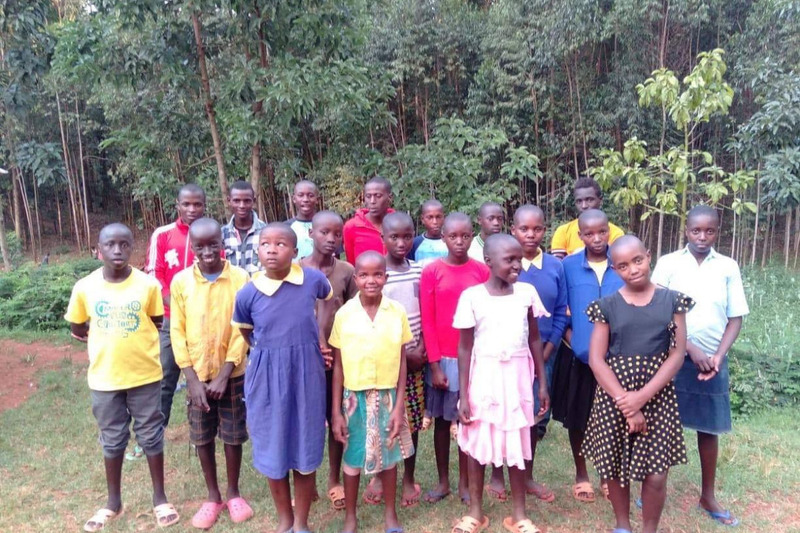 I am raising money to build a boys dormitory for the orphans living at "Sengera House Orphanage" in Kenya. There are twenty children living at the orphanage, ten girls and ten boys. we built a dormitory out of bricks for the girls two years ago, but the boys dormitory is older, and was constructed of mud. (A temporary building, but all we could afford at the time.) Now the boys house is showing signs of collapse, and needs to be replaced with a permanent building. These children came to us in the same frail condition after their parents died. Skin and bone hungry (starving actually) wearing only the worn out clothes on their backs, and not in school. Now they are well fed, clothed, and all are in school. But the boys house needs to be replaced before it collapses. These orphans are precious. Let me mention Brian here (age 14, we call him Ibu) He has the biggest heart. 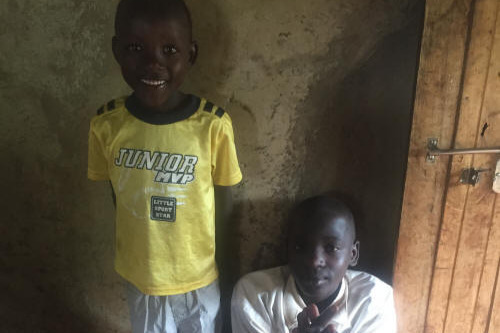 One day when we were in the town of Kisii, buying supplies, ibu kept asking if we could buy some clothes for one of the children who lived near the orphanage. I agreed and he bought the young boy pants, a shirt, and pair of shoes. when we returned home, Ibu gave the young lad the new clothes. (I took a picture of them) It amazed me how even at such a young age, Ibu had so much compassion for others in need. Another time we were in Kisii, we stopped to eat lunch. As we were eating, Ibu got up, and carrying his dish, walked about three tables away and scraped half of his food into a man's dish. Then Ibu returned to our table sat down and continued eating, with no expression on his face. I asked him "what was that all about?" He replied, couldn't you see that man is sitting there with only a small dish of kale, probably all he can afford, and that he is very hungry? This boy Ibu has one BIG heart, with lots of compassion for others. All twenty of these orphans are wonderful children, and all have suffered severely in the past after their parents died. Now they are doing so much better. (We are also trying to teach each and everyone of them a trade, so when they finish their schooling they can become self supportive.) But the boys need a new house to live in, before the present one collapses. The new one we plan to build will also be a bit larger (two story) so we will be able to take in some additional orphans who are currently suffering. Any donation you can give will help. Thanks in advance for your contribution to this cause, it means so much to these orphans. 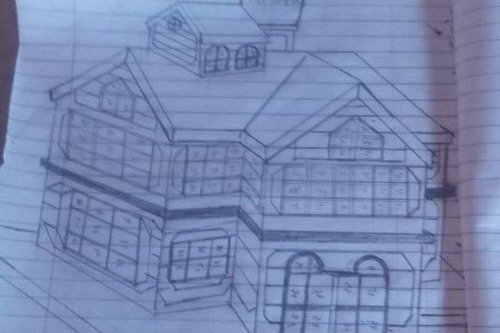 The new proposed two story boys dormitory.